Find out if your house is in one of Modesto’s historic neighborhoods, colonies, or tracts. Click on the links below to see the official area maps. Some areas were in more than one neighborhood and names of neighborhoods and streets changed over the years. It is unlikely your house is older than the official date of the map. You are welcome to download the maps to help with your house history research. 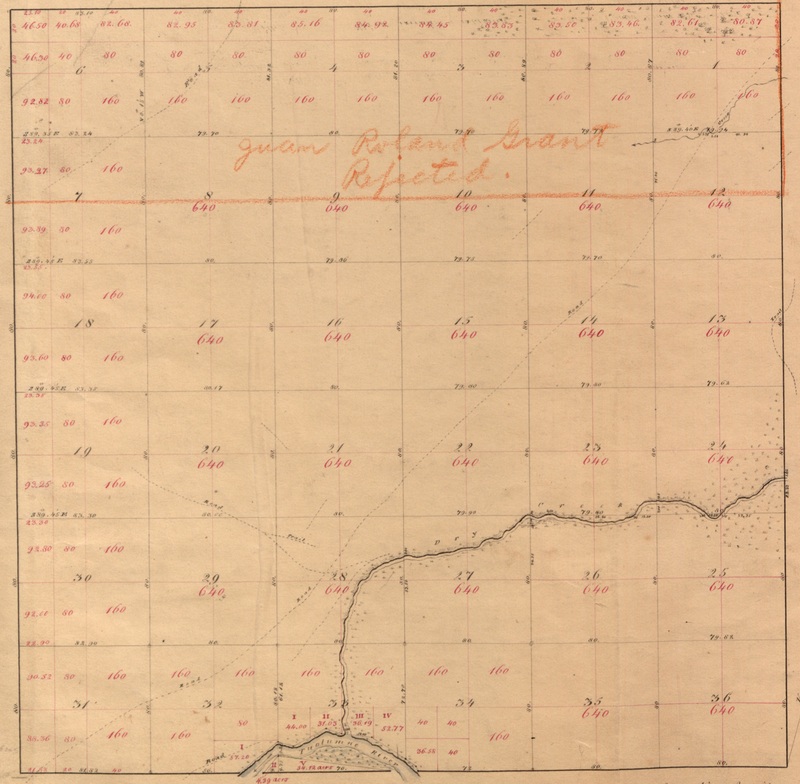 Many maps include the township, range, and section, a piece of information you will need to find the first land patent for your property. Descriptions are approximate. Additional historic maps are on the county GIS web site. Note: some maps are easier to read if you download them, and some maps will not display in Firefox, though they can be downloaded for viewing as a PDF. 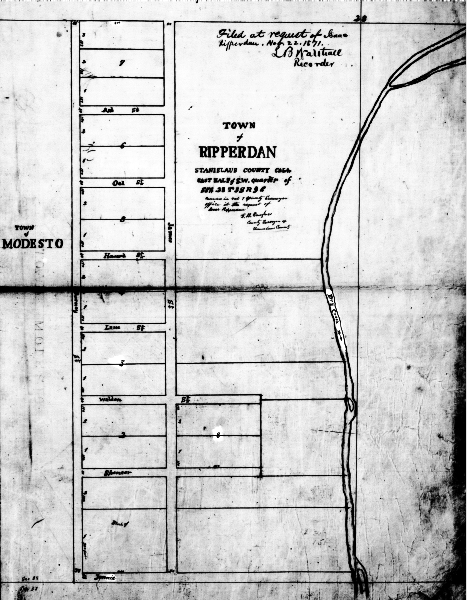 1852/1854 Survey Map, this is the first known map of the area of Stanislaus County that would become Modesto. Officially, this is Township 3 South, Range 9 East. The only recognizable features are Dry Creek and the Tuolumne River. 1852/1854 Survey Map with Modern Streets Superimposed Use this map to help you find your property’s township, range, and section.